Buy Local Numbers: Use our website in any language of the world! https://www.buylocalnumbers.com and https://www.buyvirtualnumbers.com are now available in all the languages of the world! 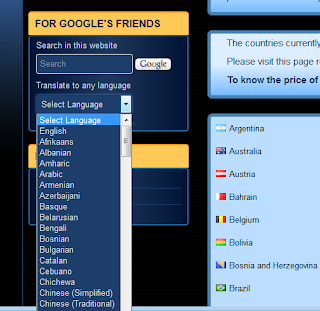 We have integrated the google translator in our website, so you can view our website in your language. You just need to select your preferred language in the droplist named "translate in any language". Enjoy our cheap and reliable services comfortably and easily with google translator!